WhatsApp for iOS app has now been given a new feature. 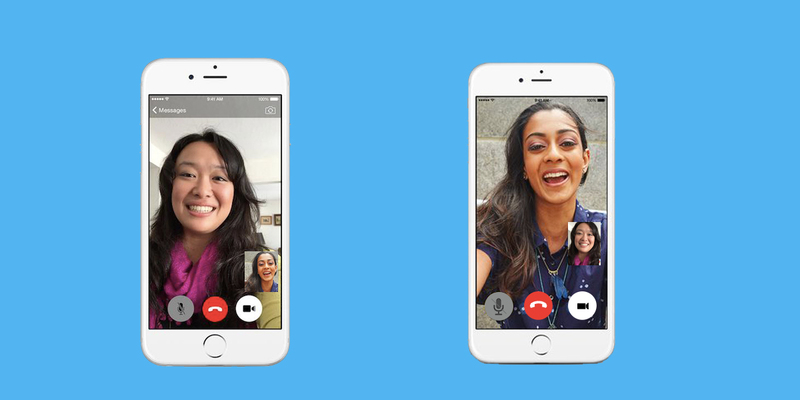 The beta app has been updated to version 2.18.60, and it has now received a group audio call feature. The beta app is being rolled out to select users, and the new feature was spotted by WABetaInfo. Interestingly, this feature was first spotted towards the end of last year on WhatsApp’s Android beta app. It was expected to roll out on the final build soon, but that has yet to happen. The overall UI and functionality of the feature on both Android and iOS are likely to remain the same. Nevertheless, it is still not clear how many participants from a single group can participate in one group audio call. Earlier this month, WhatsApp rolled out new features for groups. Users can now add Group description – a short blurb found under group info that allows you to set the purpose, guidelines or topics for the group. When a new person joins a group, the description will show up at the top of the chat. In group settings, there’s now a control that allows admins to restrict who can change the group’s subject, icon, and description. Also, if you’ve been away from a group chat, you can now quickly catch up on messages that mention or reply to you by tapping on a new @ button that appears at the bottom right corner of the chat. Members of a group can now find anyone in the group by searching for participants on the group info page. Admins can now remove admin permissions of other group participants, and group creators can no longer be removed from the group they started. This version of WhatsApp beta also brings in the “Request Account Info” feature. This essentially lets users download all their personal information collected by WhatsApp. A new version of WhatsApp for Android beta too is being rolled out. This new version brings in a ‘select all’ feature. As the name suggests, it lets users easily select all messages and then mark them read/unread or even archive them. Using the same feature, you can also easily delete all the chats on the app with a single tap. WhatsApp has also introduced protection so that users can’t be added to groups they’ve left. These new features are available for Android as well as iPhone users. The company is also testing a feature that will show if a message has been forwarded multiple times. According to the information on the WABetaInfo website, ‘WhatsApp has modified the behaviour of the feature that will show on the bubble (when the feature will be enabled in future) a forwarded message string, if the message has been forwarded from another chat (or from the same chat),’ We all have been victims of forward messages and have long waited to stop such posts. Now when a message will be forwarded numerous times, you will be able to see a label on the bubble. The company is also working to add the possibility to forward stickers to other chats. Both these features are yet to be executed. Panacea Infotech is a noteworthy iPhone app development company in USA, providing advanced and effective services to build apps that are informative and graphic-rich. We make the best use of distinctive iPhone features to turn your thoughts into reality! Our team of talented developers works with you closely to create apps of your preference and as per your business needs.